Stephen Ewart (left, Swords/Notre Dame) on his way to a 15-12 victory over Alexander Tsinis (Metro NYC Div.) 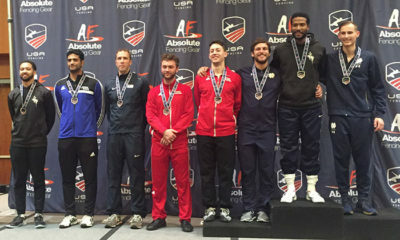 in the Semi-finals of Division I Men’s Epee. 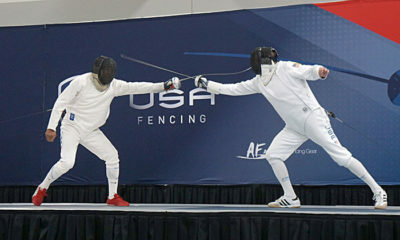 Southern California fencers found themselves the recipients of a rare treat this season: A NAC within driving distance! 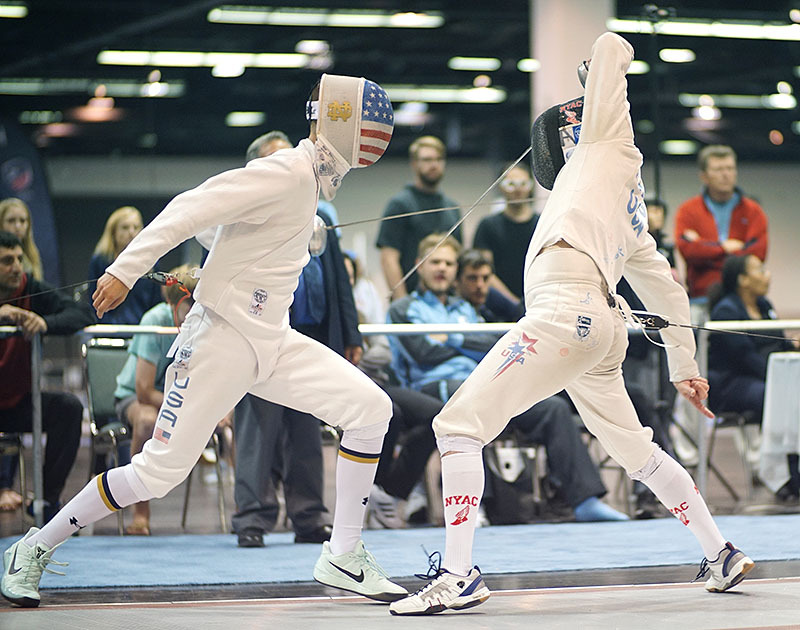 For four days, from October 13 to 16, the Anaheim Convention Center was the center of gravity for fencing in the US with competitions in Division I, Division II, Cadet, and Wheelchair. 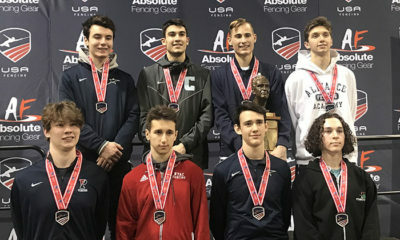 With 2,893 entries vying for 208 medals, the competition was stiff, but SoCal fencers had an excellent haul, bringing home 14 medals, including 3 gold! SoCal Medalists are listed below. Full results can be found here. 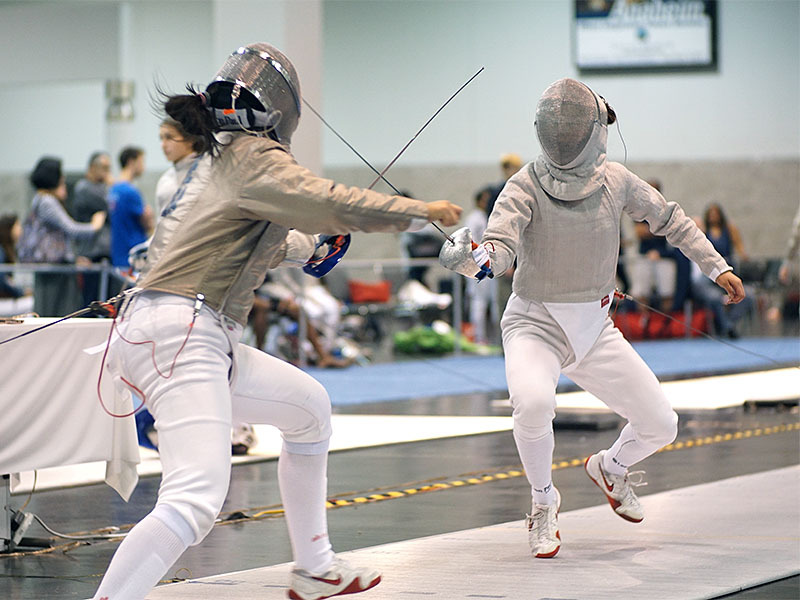 Division II Women’s Saber: Charlotte He (left, Central Calif. Div.) vs. Madeline Limb (AGFC). A truck carrying the equipment to Anaheim had a nasty accident while passing through Wyoming, causing a 6-hour delay to the start of the tournament. 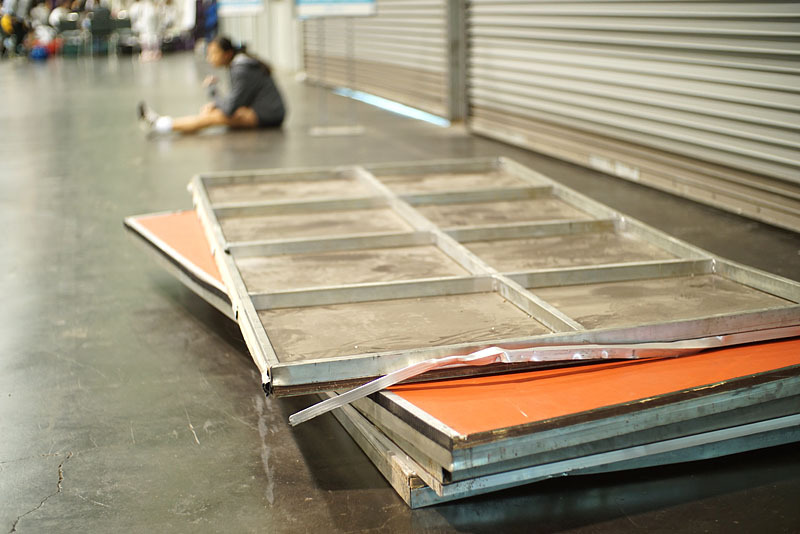 These are damaged sections of the platform for the finals strip. 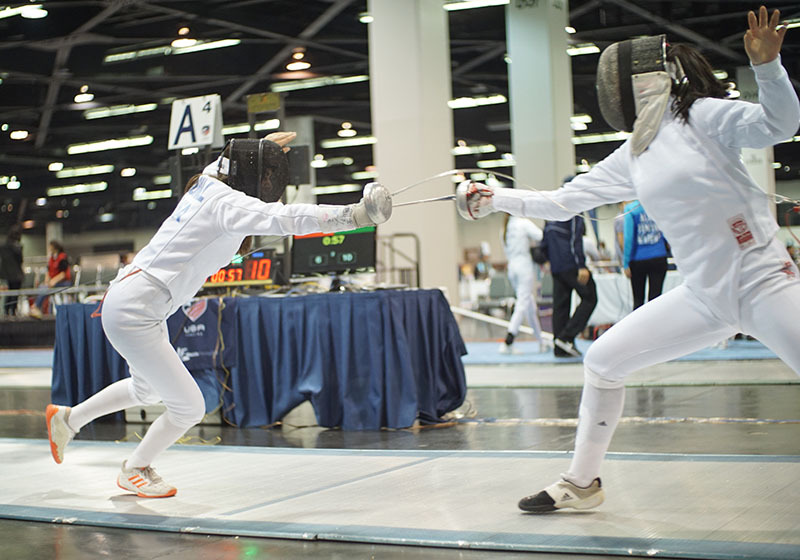 Cadet Women’s Epee: Sophie Brill (LAIFC) snakes her blade around the guard of Karina Kay Sze Leung (New Jersey Div.) to find the target. 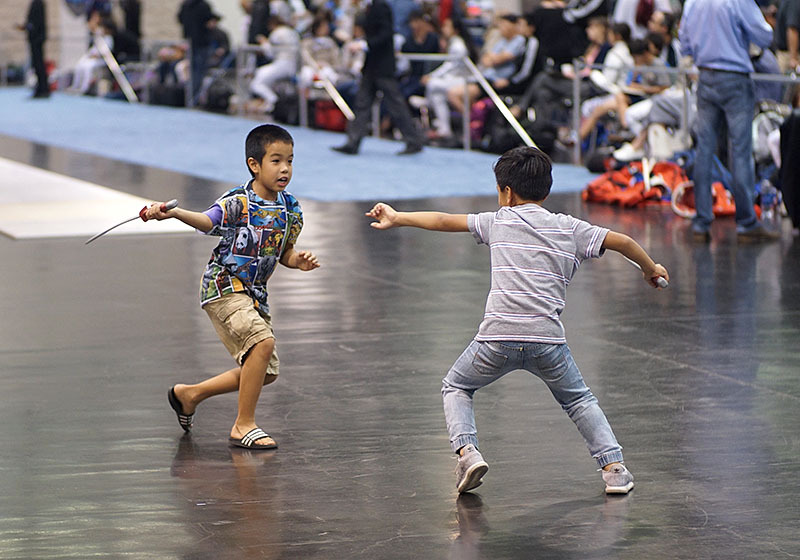 Not all of the sword fighting strictly adhered to the FIE Rulebook.